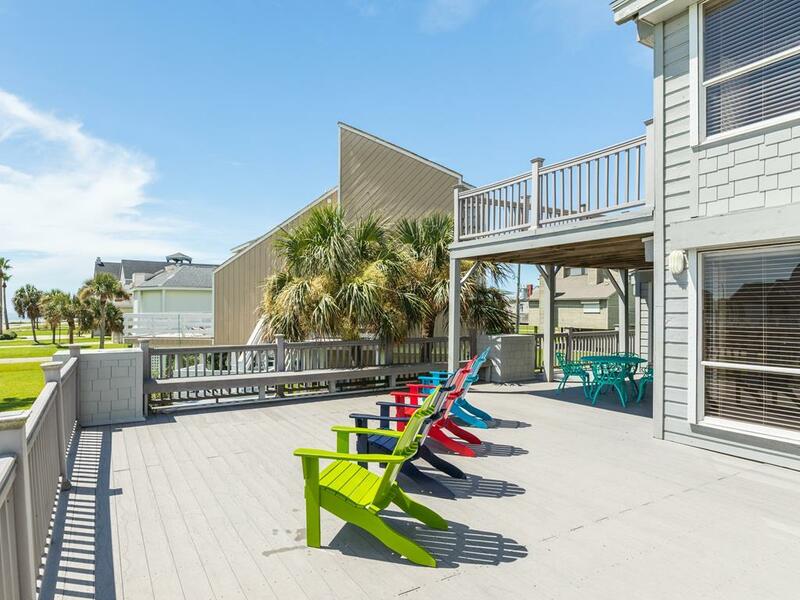 2 living areas with wet bars, huge master suite, large decks & great finished patio! 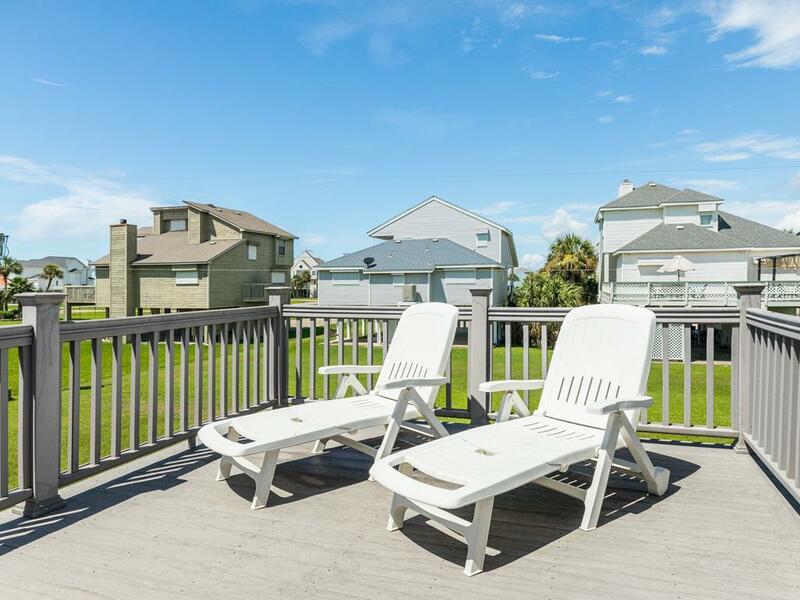 Perfect for two families traveling together, this Galveston Island vacation rental features a king bedroom plus bunk bedroom on the main level, and a luxurious king master suite and loft with a full sleeper sofa on the upper level. 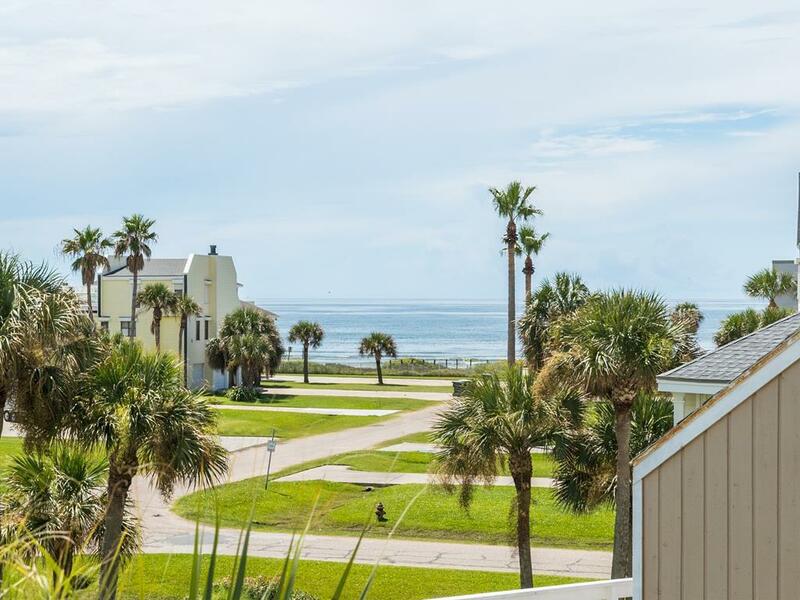 The bright & airy living area is perfect for relaxing while the family chef prepares a meal of your favorite Gulf seafood in the well-equipped kitchen. 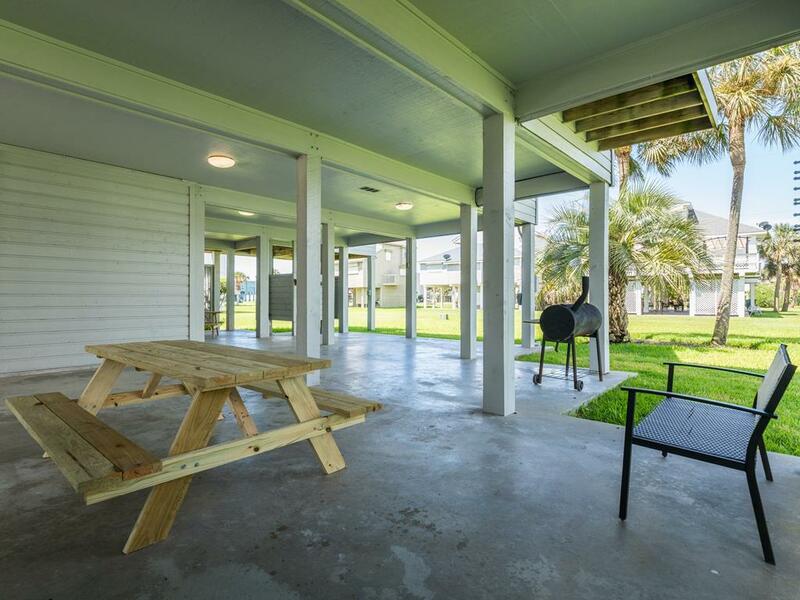 Two large decks & the finished patio are perfect for lounging and enjoying the Gulf view, and the beach is an easy walk away! NOTES: Fireplaces are not available for guest use. There is no landline phone service at this home. Property was awesome! Great house, location & comfort. I'd get rid of the carpet, but other than that...great house. Nice set up for 8-10 people. The decks are a wonderful addition and very enjoyable. Did not have any problems with the house. Two master bedrooms- very handy. Availability for our dates and the price was very good for the location of the property. Beautiful Beach house. Loved our stay. Will definitely do this again as we are perfect for pleasant short walk to the beach. 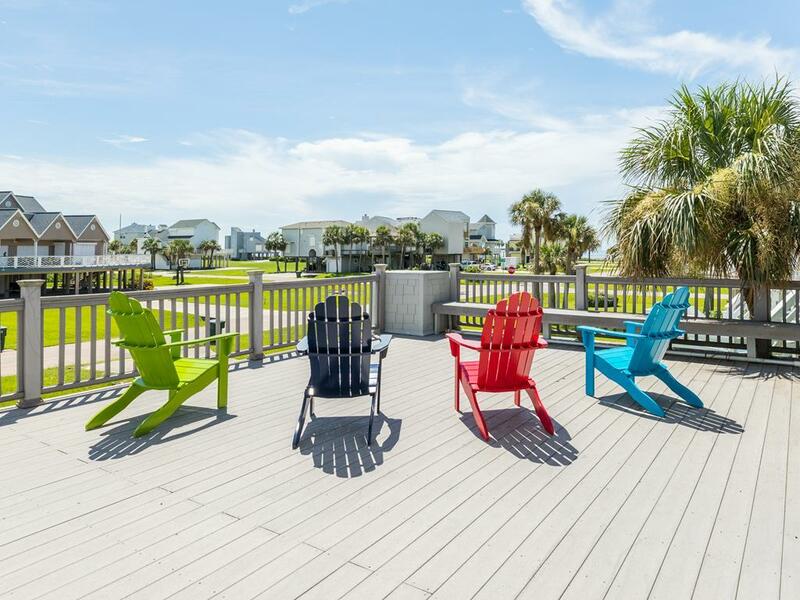 Adorable beachview house with lots of great patios and views of the ocean. Enjoyed the indoor staircase to upstairs. Fully stocked kitchen including a waffle maker... kids lived that!! Easy beach access. Not far from town to refill on supplies. 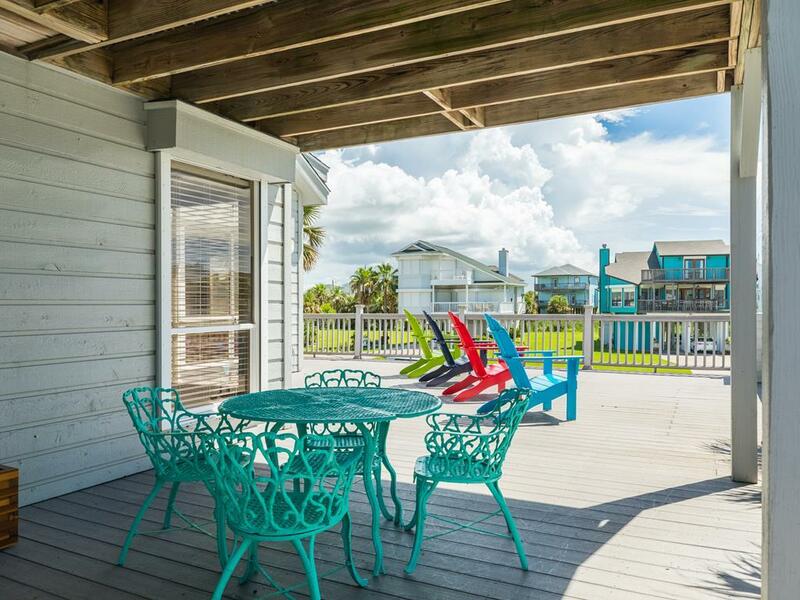 Two living areas making it a great place for 2 families with kids vacationing together! 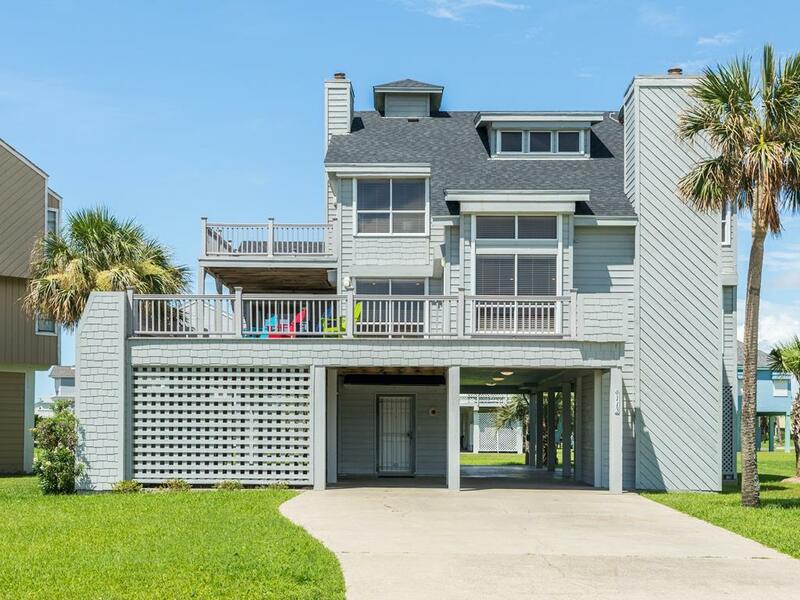 Very comfortable home with quick, easy access to the beach. Love the man outdoor spaces on the home. Great location. Beautiful home with plenty of space. The staff did everything they could to make us feel at home. Nice house. 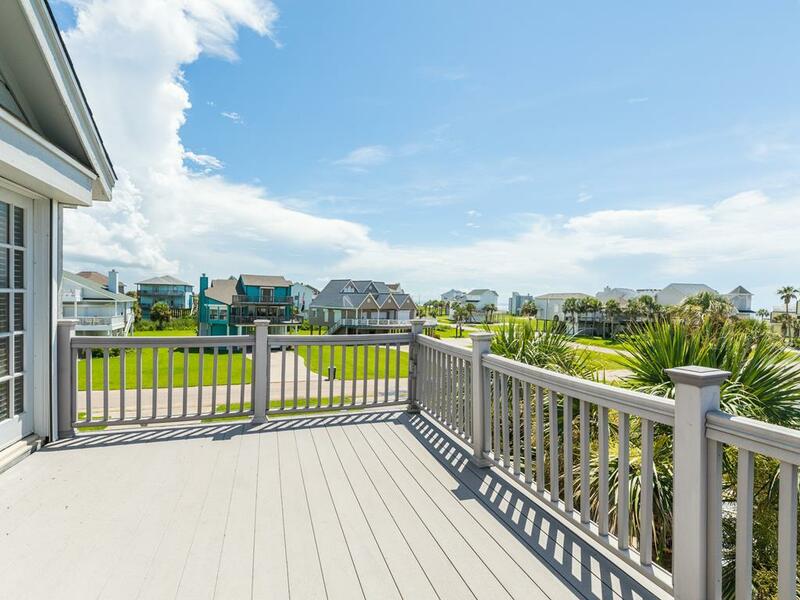 Large deck with gulf view. Property well kept in a nice neighborhood with a short walk to beach. Comfortable beds.